The 23-year-old twins-slash-moguls, are some of the newest members of the Council of Fashion Designers of America, along with 31 other New York-based designers, including Alexander Wang and Jason Wu. “We are proud to welcome these 31 new members into the CFDA family and we are excited to add such a variety of creative talent to our ranks,” CFDA executive director Steven Kolb said in the Tuesday announcement. 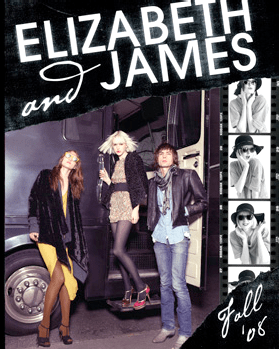 The twins were honored for their clothing lines, Elizabeth and James (named for the twins’ sister and brother), and The Row, a high-end fashion line inspired by London’s Savile Row. The nod is a sign of respect among the industry, which normally frowns upon celebrities making a second career as designers. The ladies may have CFDA president Diane Von Furstenberg to thank directly for the honor. Furstenberg dressed the attention-grabbing pair for The Metropolitan Museum of Art Costume Institute Gala last year.